LIBERTY CORNER, N.J. (Feb. 4, 2019) – Demonstrating a continued commitment to support the game around the world and inspire future generations of golfers, the USGA will welcome champion golfer and coach Shigeki Maruyama and Olympic gold medalist Koji Murofushi as the keynote speakers for its USGA Golf Innovation Symposium in Tokyo on March 12-13. Conducted in partnership with Cisco, the official technology partner of the USGA, the fifth edition of the global symposium will bring together some of golf’s best minds and leading voices to present research, share best practices and technology, and engage in dialogue in an effort to improve facility productivity, enhance golfer experience and provide increased access for all who wish to enjoy the game. The symposium, held in collaboration with the Japan Golf Association (JGA), will feature presenters from the United States, Mexico, the Republic of Korea, Australia, Hong Kong, Iceland, New Zealand and France. Leading the contingent of speakers from the host nation are two of the most popular sports figures in Japan. Moderated by leading golf television commentator and JGA co-managing director Sho Tobari, the informal “fireside chat” will feature three-time PGA Tour winner Maruyama and Murofushi, who won the hammer throw at the 2004 Olympics in Athens. They will discuss the upcoming Olympic Games Tokyo 2020, the Games’ potential impact on Japanese golf, and their experiences in their respective sports. Maruyama, who was the head coach of Japan’s golf teams during the 2016 Games in Rio de Janeiro, will serve in the same capacity for the 2020 golf competition, which will be conducted at Kasumigaseki Country Club. 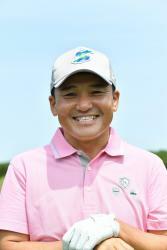 Maruyama, who turns 50 later this year, has represented his country in numerous international golf events. Maruyama went 5-0 for the International side in its 1998 Presidents Cup win, and he teamed with Toshimitsu Izawa to capture the 2002 World Cup for Japan. After a long competitive career in which he earned a bronze medal in the 2012 London Olympics and won the 2011 world championship, the 44-year-old Murofushi is serving as the sports director for the Tokyo Organizing Committee of the Olympic and Paralympic Games. Murofushi’s focus mirrors the themes of the Innovation Symposium, which seeks to foster greater opportunities and enhanced experiences for golfers in order to secure a stronger future for the game, both in Japan and around the world. The keynote is scheduled to take place at 8 p.m. (JST) on Tuesday, March 12. All the sessions from the symposium, including the keynote, will be streamed live in both English and Japanese. More information can be found at usga.org/symposium.